"First Orchestral Recital by Mr W Parsons on the Grand Orchestral Organ"
Will Parsons had previously been pianist in several Adelaide picture theatres. He was something of a pioneer in that regard, having been pianist in De Groen's Vice-Regal Orchestra at West's Olympia, in 1910 [Herb Poulton, "West's Theatre, Adelaide", Kino, Sydney, No. 16, June, 1986, p. 6.]. "I have never paid a cheque with greater pleasure. The orchestra is the great success you promised ... Your Unit Orchestra has so greatly exceeded our expectations that now, within four months of its installation, we are ordering the enlargement to your complete specification" - H Drake, Esq., Owner, Grand Theatre. These comments imply that the organ was originally built by Dodd, who was Wurlitzer's installation agent. It is uncertain, as is discussed below, whether the organ as originally installed was a unmodified Wurlitzer photoplayer; all the additions were made by Dodd [Bill Binding, conversation with writer, August, 1975]. Specially built and constructed by Messrs J.E. Dodd & Sons at Gawler Place, Adelaide. NOTE: On and after Monday next Mr Parsons will be in attendance at the organ from 2:30 p.m. until 5:00 p.m. and 7:30 p.m. until 10:30 p.m., in conjunction with our usual performance." A combined organ and piano, which has been erected in the Grand Theatre by Messrs J.E. Dodd & Sons, was opened by Mr W. Parsons on Monday. The instrument is the first of its kind built in Adelaide, and is a splendid specimen of Australian workmanship. The organ, which comprises about 14 sets of pipes, divided into three sections for the convenience of the manipulator, is worked on the electro-pneumatic system throughout and is controlled by two keyboards and almost 40 drop-stops, arranged directly over the manuals. Thus the player has the entire instrument under easy control and can with all utmost facility regulate the scheme of sound from a subdued pianissimo to a double forte. Some fine deep diapason effects give majesty to the full organ, and the wider ranges of colour stops make the instrument easily adaptable to pictures of any character. The instrument is specially suited for descriptive and dramatic playing, and the instantaneous response of the speaking pipes to the touch ofthe keyboard gives a pleasing certainty to the interpretation of any works which may be rendered on it. It may be used either separately or in conjunction with the pianoforte, as both portions of the instrument are under the control of one performer. Distinct phrasing in all the different combinations is a marked feature of the instrument, which is equally satisfactory in accompaniment and in recital work. It is fitted with an arrangement for the use of perforated rolls, or it may be manipulated by hand at the will of the performer." This description raises a number of questions - was it really a Wurlitzer photoplayer to start with? The action is referred to as "electro-pneumatic", whereas photoplayers had tubular-pneumatic action. The references to 40 "drop-stops" and "14 sets of pipes" are equally baffling, as photoplayers rarely had more than a few stops. 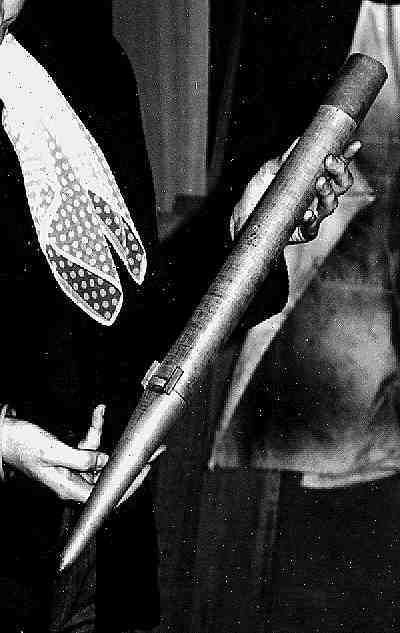 It seems possible, therefore, that Dodd had considerably modified and enlarged the instrument before they installed it. The photograph of the console after it was enlarged post-installation shows 46 stopkeys. As recalled by Bill Binding (in 1975), the organ finally had eight ranks of pipes. "They put an organ in the Grand Theatre, Adelaide, and the proprietor of the theatre, Mr Drake, appointed a man named Will Parsons as organist. 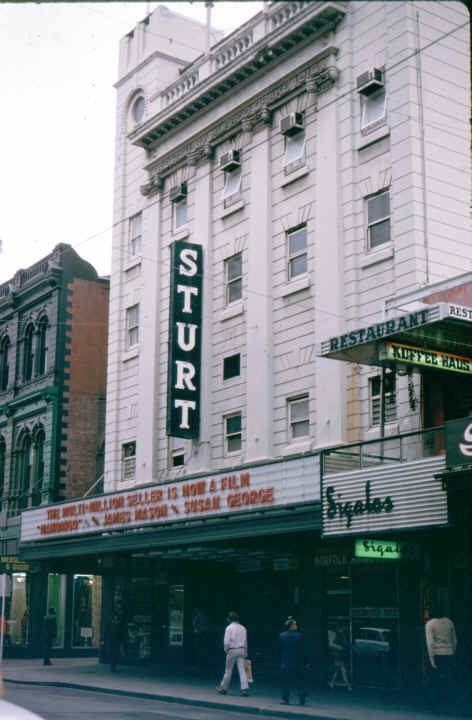 He played the piano at West's Pictures in Hindley Street. I knew him very well - a very fine theatre pianist, but he didn't know an organ from a harmonium. He was appointed under a two-year contract to play that organ. Well, the organ was opened, and Will held that position for about five weeks. Then they closed the organ up and had it all done up again. So I went down and played two things that were among his favourites, although I didn't know it - the Soldier's Chorus from Faust, and he thought that was absolutely wonderful. Then I played the same old thing which I often played at the Capitol - The Rosary - and he thought that was wonderful too. A few days afterwards he saw me and told me that if I would sign a three-year contract he would give me £17-10-0 a week." Horace took the job, and remained there for the three years, during which various additions were made to the organ. The console was out of sight of the audience, so the sartorial elegance which epitomised his subsequent eminent career as a theatre organist was not yet to be. "In summer I'd probably play just in a singlet. In winter, I'd have my top coat and everything on." "The organ used for some considerable time at the Grand Theatre, Adelaide, has now been replaced by an excellent orchestra, all the members being play-ers of calibre. Special attention is now being given to the musical section of the programme, with very beneficial results up to the present. Other theatres are advised to assist their box-office returns by giving patrons good music. The other kind drives many a customer away." It was unfortunate that the very talented Adelaide theatre pianist and photoplayer performer Tom King was overseas in 1922 [Dylan Walker, "Adelaide's Silent Nights", Canberra, 1995, p.99], as had he been available to follow Horace Weber, the organ might well have remained in use far longer. "The excellent presentation in film form of Charles Dickens' powerful novel 'A Tale of Two Cities' at the Grand Theatre will be shown today and tonight for the last time. Mr William Parsons makes the leading characters as they should be… The recitals on the new orchestral organ were much appreciated…"
"The Grand Orchestral Organ, presided at by Mr W Parsons, was much appreciated." "Added Attraction -- J.E. Dodd presents for the first time in Adelaide MR HORACE WEBER, the eminent Australian Organ Soloist in a series of GRAND ORGAN RECITALS rendering selected numbers from his extensive repertoire." It is interesting to note that the organ builder was the party presenting Mr Weber, as Horace himself states that he was "recruited" by the theatre owner, Mr Drake. "The general setting of this film ['Mother of Mine'] has attracted much admiration, and the situations are greatly added to by the appropriate music played by Mr Horace Weber on the orchestral organ." "The selections rendered on the orchestral organ by Mr Horace Weber are more than acceptable." "A first-class musical programme is rendered by Mr Horace Weber on the orchestral organ." There was no mention in the press regarding the enlargement of the organ between its installation in March and the publication of Dodd's brochure in July. The organ was eventually sold back to Dodd, who incorporated its parts in several church organs. The Viole and Céleste ranks went to Adelaide R.C. Cathedral in 1926. The switch stack, some of the chests and some of the pipe-work went to Westbourne Park Methodist Church in 1938. The Vox Humana went to the residence organ of a Mr Adams (since removed). The piano was sold to St Peter's Church, Glenelg. The top (61-note) manual was teamed with that from the Adastra Theatre, Port Pirie, in 1946 and used for the console at St Margaret's Church, Woodville. The Diapason pipes were still at the Gunstar Organ Works in 1975 [Bill Binding, conversation with writer, August, 1975]. 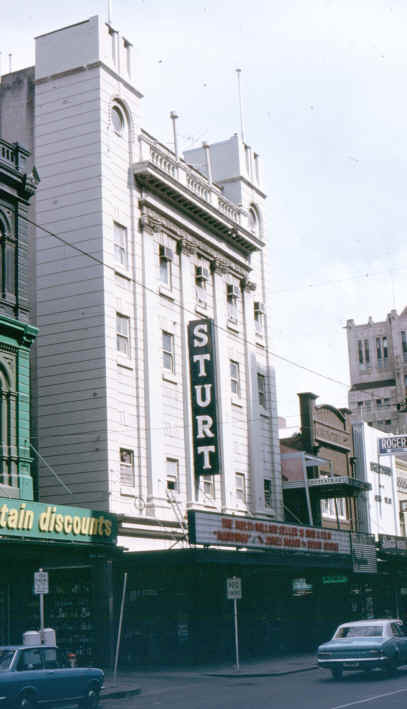 The Grand Theatre subsequently became the Mayfair, then the Sturt, closing as such in 1976.